Alternators fail slowly - little warning that it is doing so ..
As an experiment, try giving the alt. a sharp rap (applies to motors in general), it may then return to life for a short time .. 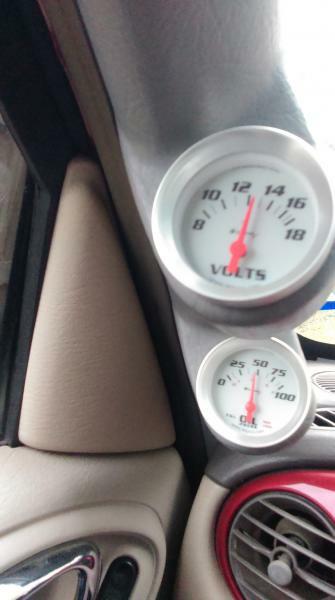 I'd love to see automobiles with sufficient gages (oil pressure and battery condition(volts)) . Check to see what the battery voltage is at 2000 rpm. Make sure battery is fully charged and is at or above 12.5 volts with the ignition off. I didn't have the green wire attached to the starter. Guess I went too quick and overlooked it. Thanks for coming back and posting what the problem was. Glad you got it fixed.